Born and raised in Cullman, Ross West started working at Merchants Bank right out of high school in 2006 when he was attending Wallace State. 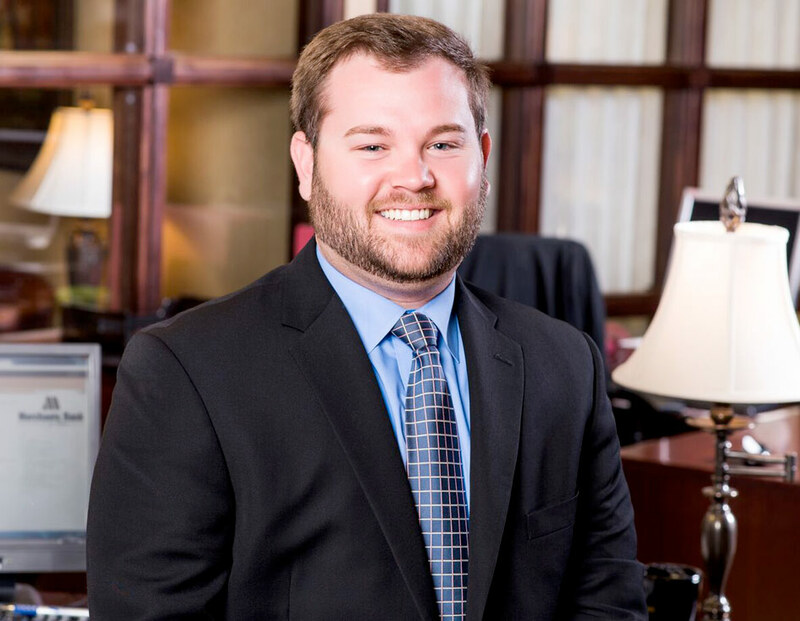 Since graduating from The University of Alabama, Huntsville, he has been working full time at Merchants in the loan department. My favorite story happened before I became a lender. During the 2011 tornados that hit Cullman, our community was hit particularly hard. We stayed open after closing time to give our customers access to their money. Also, I like being able to help younger people get their credit started. Everyone needs credit and opening a small savings account loan or some other type of well-secured loan isn’t a big money maker for the bank. But it helps the customer for their future and hopefully keeps that customer with Merchants for a long time. This is a time-driven world. Quick decisions are important. This is my hometown, my family’s hometown. Merchants is a community bank, if you can’t help the community, you won’t stay in business. I think being in business since 1907 says a lot for itself. But also the bank has been able to evolve over the years to keep up and continue being successful. I mostly handle walk-in customers. I enjoy being able to help someone buy that car they wanted, maybe get that extra money they needed, or buy a new home. I like to play golf, hunt, and go to the lake. I am a 2014 graduate of the Cullman County Chamber of Commerce Leadership Program as well as a 2017 graduate of the Alabama Banking School at the University of South Alabama. I am currently serving as a board member for United Way of Cullman County.